I think she deserves her thread. She gets media coverage and is the crème de la crème ... when she's not busy licking it. Choupette is a hottie! Ooh la la so pretty! Indeed! Such a hottie, it looks like she has a boyfriend already!?! She moves FAST!! 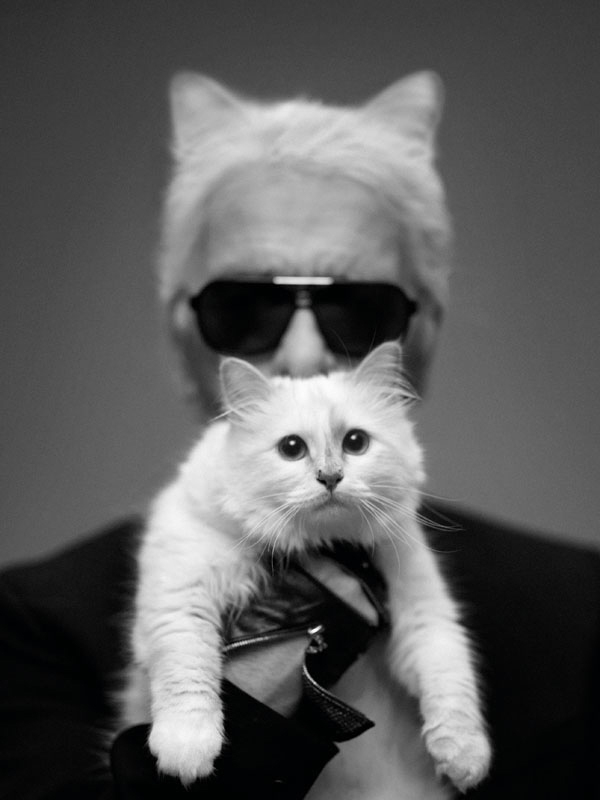 IS CHOUPETTE STEALING LAGERFELD'S LIMELIGHT? Princesse Choupette celebrated the big "1" on her birthday this past Sunday. She got a yummy treat with a candle on it. Staving off the wave of international success, she opted to spend the special day with her top man, Karl. Choupette stars in her own video! Now, for any new Griffe covers, I hope I'll catch a glimpse of Choupette somewhere in Paris, maybe sitting outside the Cafe de Flore doing mime with her dad? RRrrrmmmmeeeeeyyyuuuu! Just when you thought Choupette was tech savvy, here's what she did - all for the sake of love! She learned to use FaceTime!! The world is plagued by mediocrity. All these plagiarists who rip off other people's lives. What do they do? Stand around the kitchen island and think these things up? Probably. Like the mother from hell, Kris Jenner, deciding in her pea brain to take on Choupette. I mean, let's get real. That family made their name on dead bodies. They are vermin! It's not the cat's fault and that's why she has the name Mercy, so she could invoke it for getting stuck in the middle. What's next? Kris Jenner will film her getting humped?